The current men’s world number one tennis player, Serbia’s Novak Djokovic, has credited his passion for skiing as a key factor in his global success. The Serb comes from his country’s leading ski resort of Kopaonik, which recently opened a year-round ski run, and his father, aunts and an uncle were all pro skiers. He went on to say that he believed his skiing helped with his body’s flexibility and was also good his mental strength. Most world-class tennis players have contracts which preclude them from participating in adventure sports like skiing, but Djokovic, who has recently won his third grand slam title in succession, ensured his contract has no such clause. Prior to the competition, Djokovic had been back in the Dolomites, one of his favourite areas, posting video of his skiing. By contrast, Swiss star Roger Federer said he hadn’t been skiing for over a decade to avoid the danger of injury and that on a recent family ski holiday where several of his children learned ski technique he could not join them on the slopes. 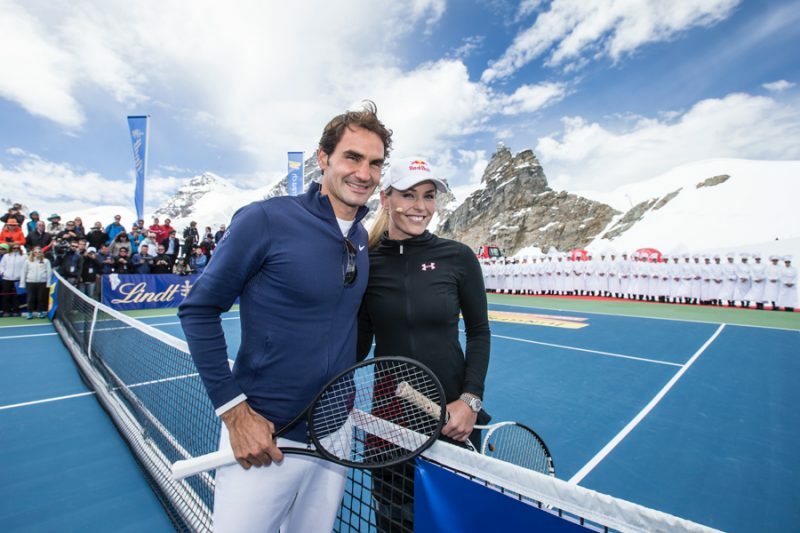 He has, however, played tennis with Lindsey Vonn above Wengen and Grindelwald.